Can your children enjoy having fun all day long and doing intensive, very effective English courses at the same time? Yes, they can – in LuckyKids. There they will have a great variety and interesting vacation with children from Bulgaria and abroad, where they will be happy to learn English. And at the end of the change their level of proficiency will have improved visibly. 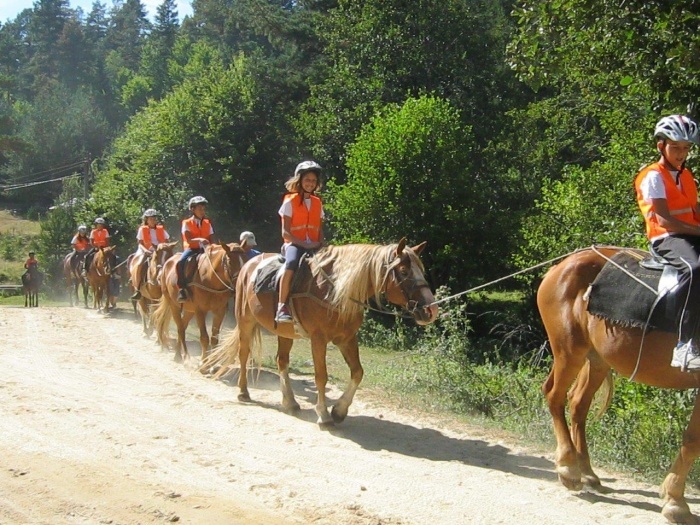 Lucky Kids is an international camp in Bansko teaching English to children. It is for children aged 5 to 14 who speak English at primary or secondary level. Children may be accompanied by a family member or a babysitter, who is prioritized by the organizers. The camp is working on a specially designed program for summer courses in English, but the team follows all the novelties and judges them to adapt them for their work. Thus, the camp constantly supports the contemporary trends for conducting English language training for children. It fulfills all current regulations for the organization of international children’s camps. Thus LuckyKids is one of the best in Bulgaria. 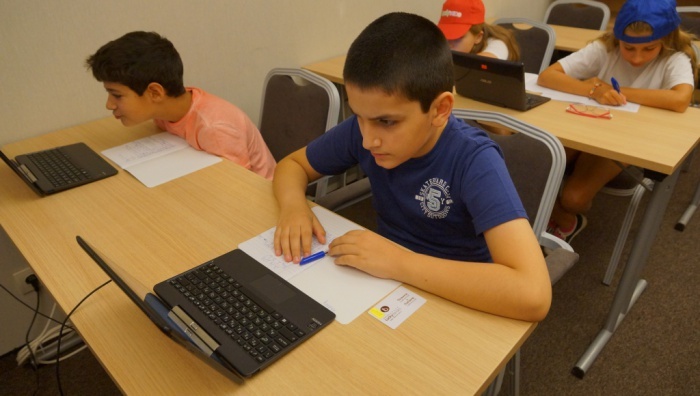 LuckyKids’ successful practice in English language courses won him a partnership with the American-English School in Sofia. This prestigious school is a model for quality education and the accepted partnership with LuckyKids is a recognition of the excellent results of the LuckyKids courses held in English. Improved language proficiency after weekly or two-week English courses in LuckyKids, parents will easily identify the enriched vocabulary, the acquired skills of children to read, express, understand and listen. Naturally, indicative of the results of the LuckyKids courses, is also the comparison of the incoming and outgoing tests that are done at the beginning and at the end of each camp shift. LuckyKids is a camp in English. In practice, these are 24-hour English lessons. The conversation is in English for all activities in the camp – and in English language courses for lunch and afternoon and evening games, entertainment and activities. Applying this rule and observing it is easy because every 5 children personally answers a teacher or animator. The courses themselves are intense – 44 hours in a 2-week camp and up to 21 days. There are shifts in the camp for one week. Summer camps are held from 1 June to 1 September. Spring English courses are April 8-14. All teachers are from countries where English is the official language – it is native to them. They are also very experienced in conducting English language for children because team members have worked in different educational models and are familiar with systems in the UK, the United States, Ireland, the United Arab Emirates, and Russia. The animators are Bulgarians, who have a perfect command of the English language and have been involved in organizing children’s entertainment for many years. LuckyKids’ overall program is designed to complement intensive courses with lunch and evening activities. What is learned by noon is immediately practiced and reinforced in practice, applied to communicating with leisure activities. It is very beneficial in Lucky Kids that children from Bulgaria and abroad communicate in English in everyday life. This complements the targeted courses. Children are receptive, learn from each other and, by exerting their language at the domestic level, quickly begin to manage with ease in English in everyday activities. This practical absorption also equals intensive English courses. The overall activity of Lucky Kids in Bansko is organized and takes place on the best practices in the world for courses. The camp is a very successful alternative to the summer courses in English in children’s language camps abroad. Interactive training methods are applied in LuckyKids. It is conceived that if English courses are being conducted, as in the case of learning everything else, knowledge is easily, quickly and durably learned if it is presented in an interesting way for the trainees. The teaching material is selected by the lecture team, which has created specifically for Lucky Kids the overall program for effective English courses. In practice, the best of the teaching methods in English for children in the countries where the lecturers worked were summarized here. The teacher does not provide the knowledge just by theory, but they rather involve the children into the learning process. Under teacher’s professional guidance, the children themselves seek and discover knowledge. They decide on age-related case studies, discuss, perform tasks from common projects, present specific topics. Thus, the courses held in the school become interesting for children as a real adventure. The themes used in the LuckyKids courses are both from subjects studied at school, as well as from people, society, nature, art, and knowledge of the world. Courses conducted in this way engage children creatively, they maximize their knowledge, skills and talents. This makes the acquired knowledge meaningful, lasting. Moreover, after the English courses in the school, active games and entertainment begin as practical courses – the lessons learned are practiced in real communication. The principle of being interested in children during the summer classes in LuckyKids is also applied to afternoon and evening classes. These activities are in fact games and fun. The purpose of the camp is to teach English for children by providing them with a fun holiday. These entertainments are also in the base of the camp, and in nature. 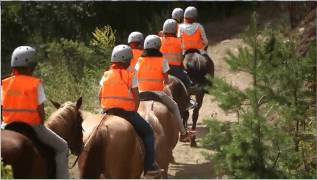 In the mountains the children have professional, experienced guides and instructors who apply all the safety requirements, and the groups have a qualified medical practitioner with all the necessary equipment. Mountain excursions and excursions are really like intensive English courses for different aspects of the theme man and nature, sports, historical, archeological and other landmarks. In these entertainments, there is definitely an educational moment – both in the instruction and the practice. Very attractive for children are horse riding and paintball. The ride takes place in alternating groups. Each group is from 6 to 8 children, attended by four to six instructors. Paintball has many action and emotions. In this game, where teams shoot as commandoes with paintball, they have to use cunning stunts, surprises, quick reactions. Of course, the participants use special protective clothing, vests, masks. 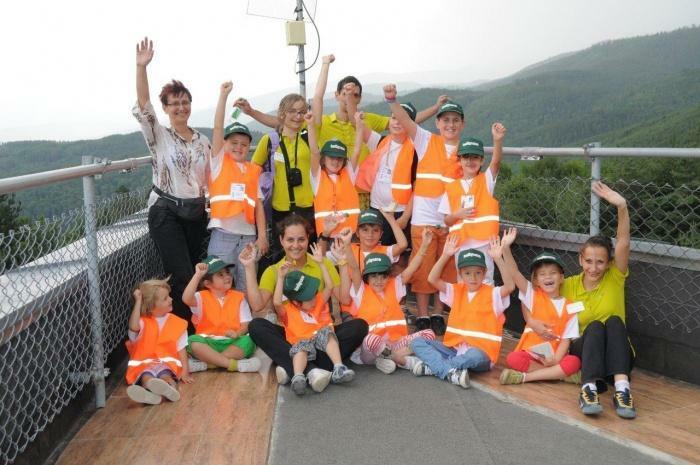 Their children are also interested in ROLBAN Cycling – a picturesque mountain trail, take off, picnics, excursions such as the Dancing Bears Reserve to Melnik, to the excavations of Roman cities such as Nicopolis Ad Nestum and others. No less fascinating in the camp – evenings of talents, different nationalities, a fun cooking course, neon parties, treasure hunting, etc. You can not miss the hours of the pool, where a great game falls, and the children take care of a professional savior, teacher and animator. Lucky Kids uses excellent facilities. The camp is housed in Aparthotel Lucky Bansko SPA & Relax – a luxury hotel 450 meters from the center of Bansko. This five-star hotel is entirely in keeping with the presence of children. There children are in comfortable and safe conditions under all international norms for the organization of children’s language camps. The smallest detail is also planned and respected. For example, there are no sharp-edged items in the hotel, and there are also no fragile glasses. Floors are covered with carpets everywhere. Strictly comply with emergency and fire safety. Apart from the fact that the children do not remain alone in any activity, there are rooms with teachers or animators on each floor where they are accommodated, who follow the order of rooms and corridors. Children are instructed to call the teachers, animators or reception at any time. This ensures nighttime safety. In addition to significantly improving language skills, the summer courses in LuckyKids also have a significant additional effect. Generally speaking, children learn to build social contacts, which is particularly important for their active development. The tasks, the projects, the discussions in the courses conducted in the camp teach the children first in a new environment or situation to be able to quickly orient and adapt. Practice shows that even children who do not speak English in daily communication with other courses at the camp, overcome the language barrier for 2-3 days and start engaging in English communication. Second – they create their skills to work in a team, to cooperate. In this process, children learn to exchange with other experiences, defend their opinions with arguments, while respecting the other’s opinion. And ultimately look for the best offer. Thus, LuckyKids’ campus training in English teaches the children of empathy, they can fit as part of a common cause and see their place among others. 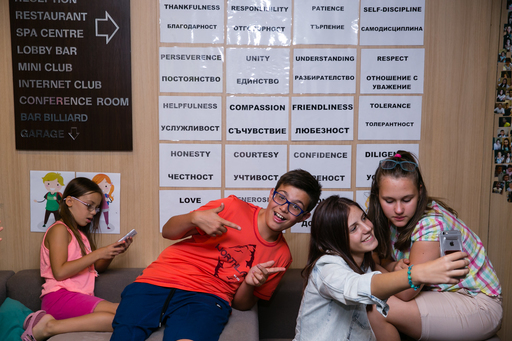 These methods in the courses offered by Lucky Kids in English lead to strong, real friendships between children from Bulgaria and abroad. The practice has shown that these friendships have been maintained and developed over the years. Previous Post: Summer Private English lessons vs English Summer Camp?